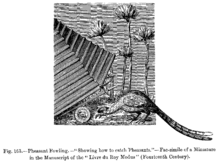 It has been suggested that this article be merged with Phasianinae. ( Discuss) Proposed since February 2019. Pheasants ( /ˈfɛzənt/) are birds of several genera within the subfamily Phasianinae, of the family Phasianidae in the order Galliformes. 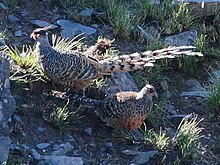 Though they can be found world over in introduced (and captive) populations, the pheasant genera native range is restricted to Asia.